Thank you Heartfelt Flowers for all your hard work. As promised, just to let you know the whole day was a success and the little flower girls looked so sweet with their candy coloured wands and the matching hair slides. We have already recommended you to friends and my youngest daughter, as you may remember, has just got engaged, so will be calling on you again soon! My button bouquet and Bridesmaids felt posies were not what my guests were expecting. Thank you for helping me create a unique wedding that totally surprised everyone! Looking back at the photos we are pleased we went for such a different look. An amazing day with so many compliments! 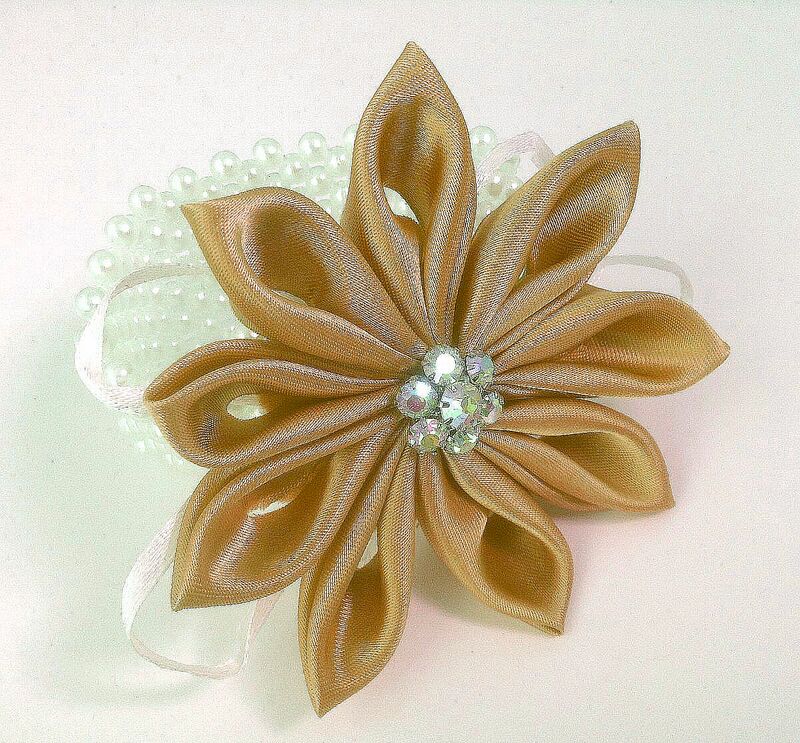 Helen’s Kanzashi flowers are always gorgeous and perfectly match my outfits. 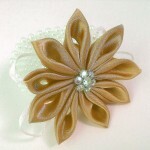 Have ordered accessories many times for various weddings and always feel special wearing one of her creations. I would highly recommend Heartfelt Flowers.